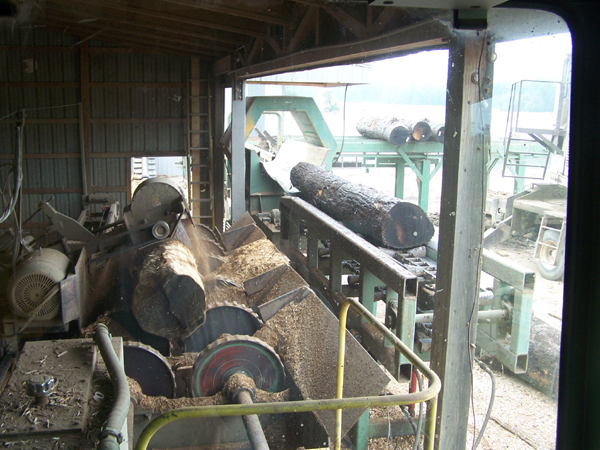 Before a log is sawed into lumber, the bark needs to be removed. The machine that does this is called a debarker. SIH uses a debarker from HMC. The log is passed through a metal detector before it is debarked. 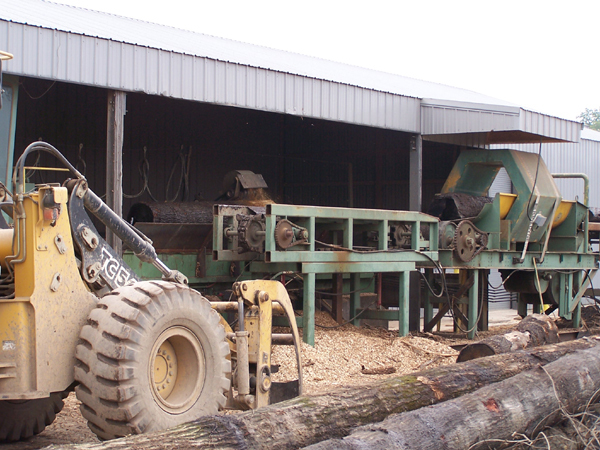 A log that has not been debarked is very hard on the cutting saws; it can chip or crack them. The pictures below show the debarker from an inside view and an outside view.